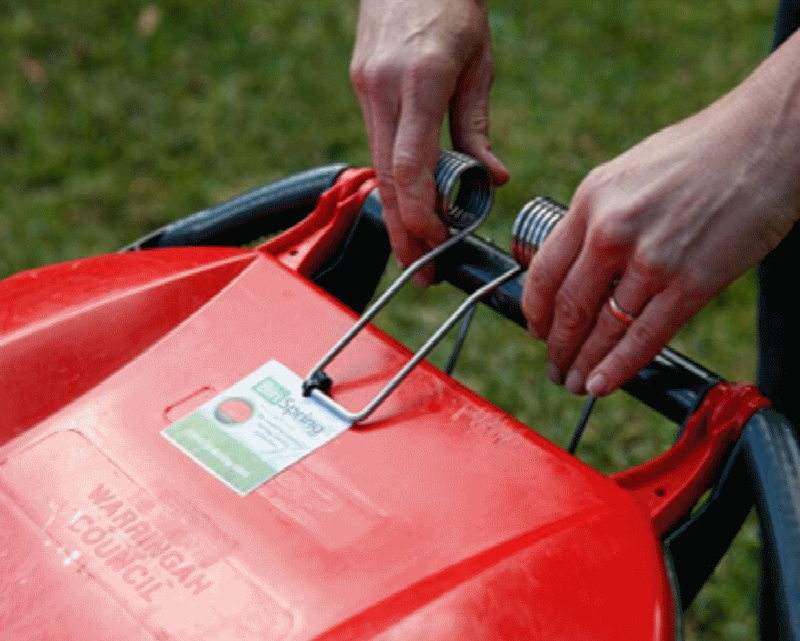 BinSpringTM provides a solution to the problem of stray litter in the environment with the simple low cost solution of securely keeping wheelie bin lids closed. BinSpringTM has no impact on waste collection activities, that is, there is no manual intervention required when emptying bins. Unlike front-affixed bin clips or locks, BinSpringTM does not impede normal bin-emptying actions from either a rear or side emptying waste truck. 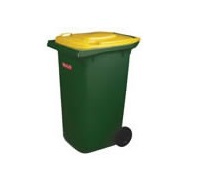 By simply tipping the bin in the usual manner, the lid will open, but then flip closed when returned to the kerbside. Tests have proven that even with lighter loads, or bins only a quarter full, BinSpring™ TM does not interfere with the emptying process. Helps prevent waste spilling out if the bin is blown or knocked over. Helps keep water courses and oceans free of waste litter. 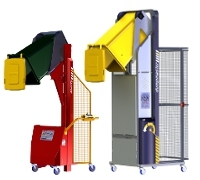 BinSpringTM always ensures the bin lid closes automatically after the bin is emptied. 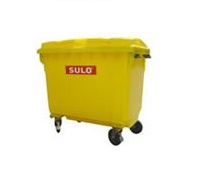 Gravity ensures the lid opens when the bin is tipped upside down for emptying. No inconvenience or delay when waste truck is emptying the bin. Helps prevent lid damage (and cost to replace) when bins fall over. Significantly reduces need for home owners or contractors to clean up spilled waste. Prevents rain from entering open bin. Easy fit - no tools required. Fits all popular bin makes and sizes. Durable - Stainless steel construction with a 10 year warranty. Australian invention, 100% Australian owned and made in Australia. BinSpringTM provides positive downward pressure to secure the lid even when the bin is overfilled. 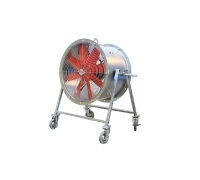 The BinSpringTM design can be modified slightly to reduce or increase pressure rates (subject to a minimum order quantity). 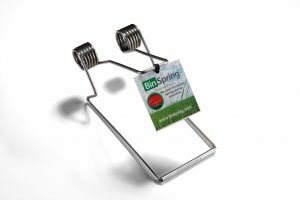 BinSpringTM 's unique double torsion spring design will ensure that lids are closed after rubbish truck collection.